PTI SAF and SDAF split pillow blocks are available for shaft sizes ranging from 3/4” (SAF505) to 24” (SDFAF 231/630). Multiple seal options are available to suit every application. 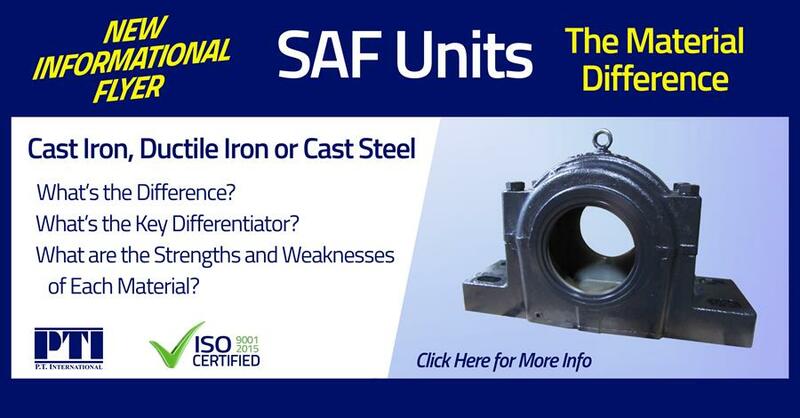 Click here to view all of our SAF products.